I borrowed this anthology (possibly with "2000" in the title) from the young adult section of my local library in the UK in probably the mid 1970s. There was a specific adult science fiction section in the library, so I am presuming it was written for young adults. The main story I remember was possibly called "The Zoo". A group of school children are wandering around a zoo and looking at an alien in a cage. At the end of the story the viewpoint is switched and the alien is a human astronaut who has returned to Earth to find it is far in the future. He wonders how it is that mankind has changed so much in the interim, as they now have three legs. There was another story in the anthology about a man meeting the devil and going down in an elevator. Within it is the old adage, "if you eat with a long spoon you will sup with the devil", but it's not the Wyndham story and I can't remember any more detail about what happens to him. 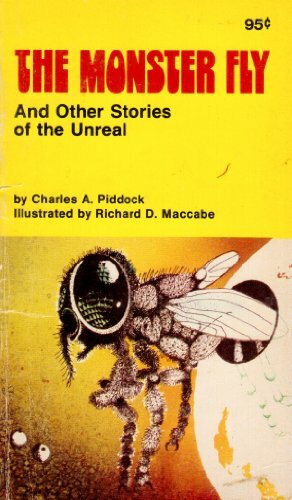 Per Valorum's suggestion and confirmed by the OP in comments above, this is "The Zoo" by Charles Piddock, published 1974. User Abulafia provided the following helpful detail about the story's conclusion: "The future children has only one eye and the story ends with the astronaut looking at a book on display outside his cage. It is a bible and he recites to himself 'I am the beginning and the end, alpha and omega.'" Not the answer you're looking for? Browse other questions tagged story-identification short-stories young-adult or ask your own question.